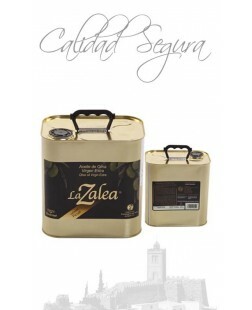 La Zalea® Exquisite oil made in our mill. 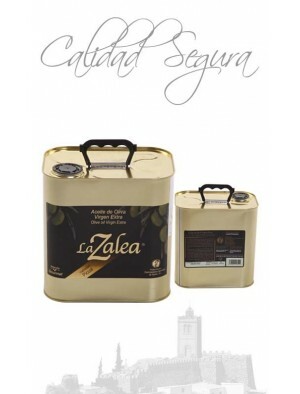 It is a great quality oil obtained directly from olives and solely by mechanical means in our oil mill (unfiltered). The Extra Virgin Olive Oil Gourmet is a limited production of an oil obtained by collecting a fruit early from Picual olives. 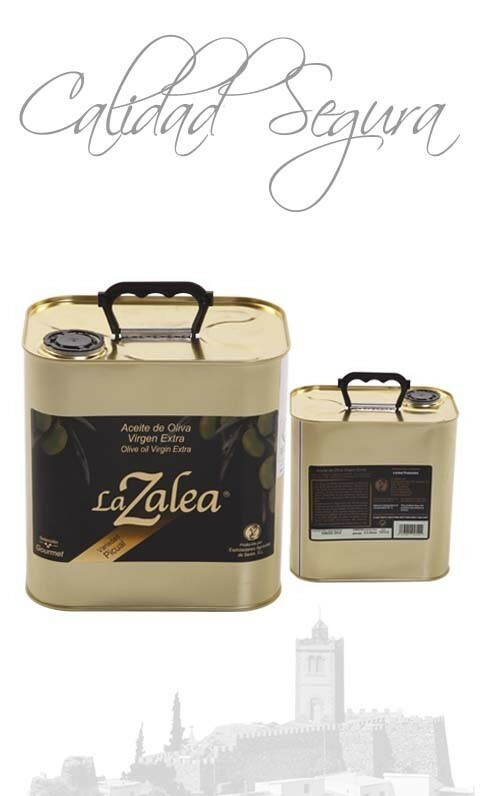 It is obtained directly from olives by mechanical procedures, it is unfiltered presented, making it denser and preserving more properties than filtered oils and it is characterized by belonging to our own olives farm, allowing you to control all the processes under the same quality guidelines. This allows that the collection of olives and oil extraction are performed in a single day, avoiding the lossing of these properties. It preserves all the properties of olives making it ideal for dressing salads, spread on bread or used in any recipe that requires high quality products. Is presented in a 2.5 liters can, to protect the oil potential external climatic conditions . It is recommended for optimum conservation maintained at a temperature of 20 degrees (Celsius).